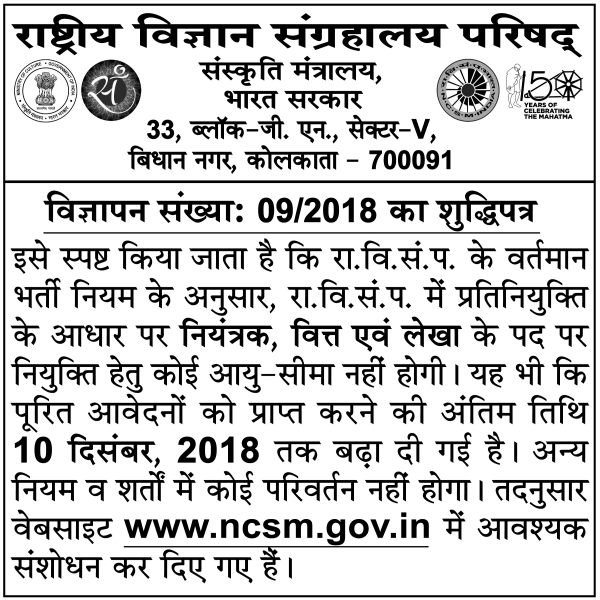 It is clarified that as per extant Recruitment Rules of NCSM, there shall be no age limit for the post of Controller of Finance & Accounts to be recruited on deputation basis in NCSM. Further, the last date of receipt of completed applications has been extended up to 10th December, 2018. Other terms and conditions shall remain unchanged. Accordingly, necessary corrections have been made on website www.ncsm.gov.in.